Hi! I'm a full-time graphic designer with great years of experience. My field of expertise is business and advertising especially signage design. I love the simple and modern design. If you feel that I can help you, feel free to message me or invite for a 1-to-1 project. "Wonderful to work with Analyn!" "Great designs and very responsive"
"Designer has an excellent eye and sense of what I am looking for. Thanks. " "Love the design and speed in which Ana works!" "Wonderful at updating to a fresh new look"
"Wonderful to work with and very talented." "Great work! We ended up using the design for one of our posters. Will definitely contact Analyn for future projects. " "Ana does a great job in a short amount of time." "Ana does a great job helping us to create our visual brand. " "The design is creative and matches our desired aesthetic"
"We love working with Analyn!" "Love the piece and how it fits with our branding." "This piece needed to be approved by multiple stakeholders and Ana was great working through the edits. " "Very versatile in all the work she can do." "Ana does a wonderful job!" "Nice work, quick responce nice ideas!" "Analyn did a very good job of creating exactly what our company needed for our marketing efforts - highly recommended. " "Super professional. Great communication, amazing results. " "I like the design and would love to continue working with you on a monthly basis." "Designer did an excellant job with our booklet. I highly recommend her"
"She did a great job coming up with a wonderful design! She made the small changes that we needed, and did it promptly. I would definitely work with her again!" "Outstanding as usual. Thank you Analyn"
"Thank you for the quick response!!" "Outstanding as usual. Thank You!" "Always a pleasure working with such a professional." "Responsive and helpful - great designer!" "This is my second time using Analyn. She is super fast and does great work." "An amazing designer - fast and talented"
"Analyn always figures out what I want and produces exceptional designs. Thanks again!!!" "She is super fast in responses. Also very patient with my many requests. Plan to use again." "She was amazing! Look forward to working with her again! " "Fast and a great design resource." "Wonderful designer and very responsive." "I hate having to fill out these mandatory comments." "Excellent designer and fast turn time." "Excellent work and fast turn time! Easy to see the prices and select the service you w through the Services section in her profile. " "Analyn did a fantastic job of interpreting our requirements and we have a couple of designs we intend to use and are very proud to display for our business. She was very quick with adjustments and a true professional. I'll definitely return to use her s..."
"Wonderful designer - very responsive!" "Wonderful job designing - very creative and responsive." "Designer was quick to understand request and produced several excellent and eye catching designs." "Great job again! Highly recommended"
"Always great designs and very responsive." "Excellent work - very responsive"
"Great Design and very quick with final edits"
"Very professional and fast turnaround. Was extremely patient with lots of edit requests, showing us different versions based on ideas. The final product is great, and exceeded expectations. Highly recommend Ana and will definitely work with her again"
"Wonderful designer - very responsive." 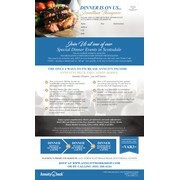 "It took us a few revisions to get the flyer where we wanted it, however Analyn was responsive and great to work with. Very happy with the end result. Will use her again on future projects. " "Excellent work - very responsive." "Great design and service will use again"
"Analyn delivered exactly what I asked for and finished her work ahead of schedule. Highly recommend." "Great turnaround time and easy to work with. " "Fast turnaround, great design! " "Such a great job and very responsive." "She rocks! Great work, and VERY fast turnaround times!" "I loved working with Analyn. Super responsive and creative. Our booklet that was created looks great and is going to print. I needed several edits and revisions and all were done quickly. I am very pleased with the work and the pricing was super!" "Amazing to work with and wonderful designer. " "So great to work with - talented and responsive"
"Fast turnaround and always top-notch designs"
"Analyn did an excellent job and had excellent turnaround. She is a true professional. I would work directly with her again." "Very prompt and exactly as requested"
"Wonderful at getting quality work to us quickly, if needed." "So great to work with and wonderful designs"
"Great work, fast response, and came up with a much better idea than my original request. Ended up extended the project to switch to her idea." "Designs are great and such a fast turn around!" "Great work and pleasant to work with." "Awesome! Great work, VERY fast turnaround. Easy to work with. " "Analyn is a billiant designer. Very happy with her work"
"Very talented and great with designing flyers and marketing materials." "We needed an infographic turned around quickly. Not only did she meet our quick turnaround but the design is amazing! Highly recommend." "Keep coming back to Analyn because she does a great job. " "Wonderful to work with on projects." "Again, Analyn did an excellent job! " "So wonderful. Thank you for the great design and quick turn around!" "Very responsive and wonderful designs"
"Great work, quick turnaround, and easy to work with." "Very talented designer, has an uncanny ability to make designs appear simple and elegant!!!" "Analyn was great to work with. She was quick to respond and does great work!" "Great designer, responsive, talented, and enjoyable to work with!" "Great work, rapid response....very professional." "Exceptionally detailed, accurate and professional. Great designer!" "Love working with Analyn - always responsive and creative." "Responsive and a great designer!" "Spot on design and great response time." 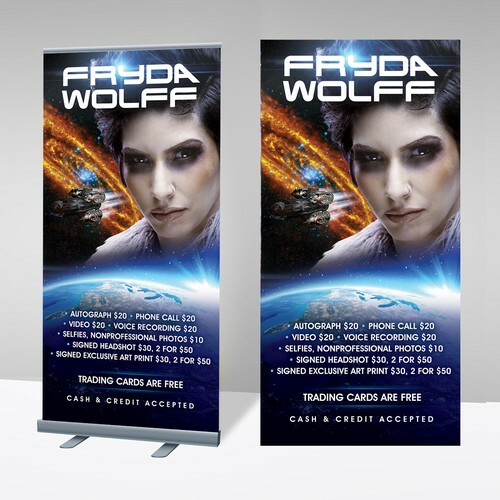 "Exceptional designer for trade show related work. I will definitely use her again and again!" "Great work! Very responsive too..."
"Great work and everything was done quickly." "Excellent job by Analyn26! I'm very happy with the design. She quickly turned any feedback into new designs and her communication was great!" "This design came through very well and exceeded our expectations. There was a tight competition, however, we believe that Analyn’s reponsiveness and keen creative eye was able to capture our desired look. Thanks!" "Great work and hope to work with you again soon!" "Just wanted to say THANK YOU!! We moved almost a year ago and I have been messing with the design of our sign since then with no luck! I am so happy to not only be moving forward with this project, but moving forward with a design that I am so in love..."
"Always gives us what we are looking for in design!" "Great work and very fast." "Excellent job. Very helpful and able to understand what we were looking for." "Wonderful to work with on all design projects!" "Fast and great communication skills." "Awesome Job! Fast and Quality work. " "Always a pleasure to work with Analyn." "Did a great job, highly recommended, very responsive." "Easy to work with, took my direction and made it awesome. Super fast turnaround!" "Excellent communication skills and very responsive." "Second time working with Analyn. Both designs were great1"
"She took creative feedback very well and updated accordingly. Very original ideas. " "Wonderful work - very responsive !! We will work with her again." "Ana- is a fantastic & responsive designer. We really enjoy working with her on our suite of advertising & marketing projects!" "Efficient, fast and great designs." "good job hope to work with you again "
"Great designs and very efficient." "Great working with Analyn! Very quick and professional." "Excellent work - thank you for the quick turnaround! I look forward to working with you again soon!" "Beautiful work and quick turnaround! Thank you!" "Analyn provides top service, with excellent responsiveness and great skills and creativity and talent. Warmly recommended!" "Great service - patient with changes." "Quick response - great work!" "Ana is aweosme to work with"
"Work done according specs and update required." "Analyn26 is a fantastic designer who is very easy to work with! We are so excited to have found a responsive designer who is able to deliver above and beyond our expectations!" "Analyn was very responsive, and went above and beyond to accommodate." "Great Job well done. Very responsive...couldn't be happier with the job." "Great work, great communication skills, and extremely responsive." "Quality design, extremely responsive and great communication skills." "Great job! So quick and so attentive. Had a great experience working with Analyn and would be very happy to work with her again in the future! " "Thanks for your prompt and excellent work." "Excellent work. Love the design." "Another great design from Analyn. Excellent timeliness and response, especially when dealing with a hectic schedule. We will continue to use her for our designs." "Another fantastic project. It's alway a pleasure to work with Analyn26." "A++ as always and fast turnaround!" "Great work as always by Analyn!" "Second time I'm doing business with Analyn and I keep being very satisfied by her fast response time and her willingness to answer my needs. Very recommended!" "Great response time and gave us exactly what we were looking for. We have used Analyn for a bunch of projects and will continue to do so." "As with our other projects with Analyn26, the work was fantastic and quick. She's always helpful as we work through exactly what we want. It is a real pleasure working together and, after multiple projects, we feel as though she is part of our team." "Analyn does a great job. She is very responsive, and has a great attitude. We've been very happy with all of the designs she has done for us. " "Ana is always awesome to work with." "Amazing, amazing, amazing job! Thanks a lot!" "Excellent final product, and very responsive!" "Analyn is so great to work with. She has a lot of talent, she is always available to make trials, she gives fast responses. The Result: A graphic design that I love!" "Working with Analyn has been a pleasure. She is incredibly helpful and patient. She has always answered to my requests, even when they were punctilious. The design was brilliant, the communication was excellent and I couldn't have been happier with t..."
"Gave me exactly what I needed with great turnaround times! Will definitely hire again. Great eye for clean, minimal design." "We have done three projects with Analyn26. Each time we have received exceptional service. " "Ana is awesome to work with!! She's talented & a great person!" "Analyn was great to work with. Great designs and so accommodating of our quick timeline!" "Excellent designer. Thanks Analyn for the you hard work and creativity. " "Excellent designer to work with. " "Great to work with. Excellent, will recommend to anyone that need quality work"
"Analyn is great, very talented, will work with again"
"Analyn26 was great to work with! She was very receptive, and fast to make changes. I highly recommend Analyn26. I was so impressed with her work, that I will be working with her one-on-one on some other projects. Thanks Analyn26!" "Very professional, highly talented individual - I have no hesitation in recommending her." "I highly recommend Analyn26 - great person to work with, excellent design, very helpful communicator. Really pleased with outcome. Thanks"
"Analyn was great to work with. She started off strong and worked with us to fine tune the design to get to the design we love. Solid work from a talented designer. These things take a little time but if you are willing to give the Analyn the artist f..."